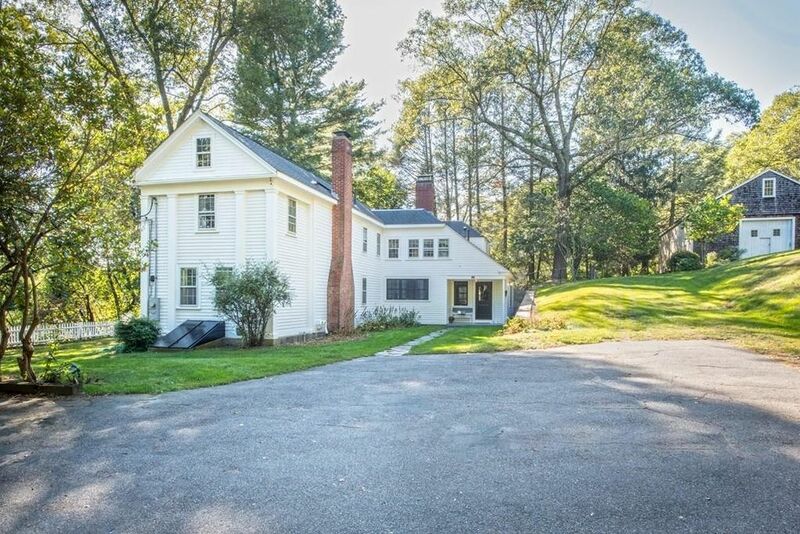 A Wonderful opportunity to be in the highly desired North Framingham area - Country Living at it's best. Set up above the road with amazing views of the horse farm across the street, gorgeous sunrises and views to conservation areas.This Antique home has a brand new country kitchen with a chefs stove and farmers sink, there are authentic touches such as an exposed brick fireplace. The main level is open to a family room with a wood stove, french doors, mud room, and full bath. Just outside there's a fenced side yard ideal for entertaining, dogs, etc. There are both over-sized living & dining rooms with bow windows to take in the light and more views. Upstairs there are two full bedrooms and two full baths, plus a walk-up attic. Set behind the home is an amazing large timber-frame post and beam barn and a separate - detached, two car garage. This property shows wonderful as is, however, there is still amazing potential. The home is currently set up as a 2 bdrm,but It's a legal 4 bdrm.